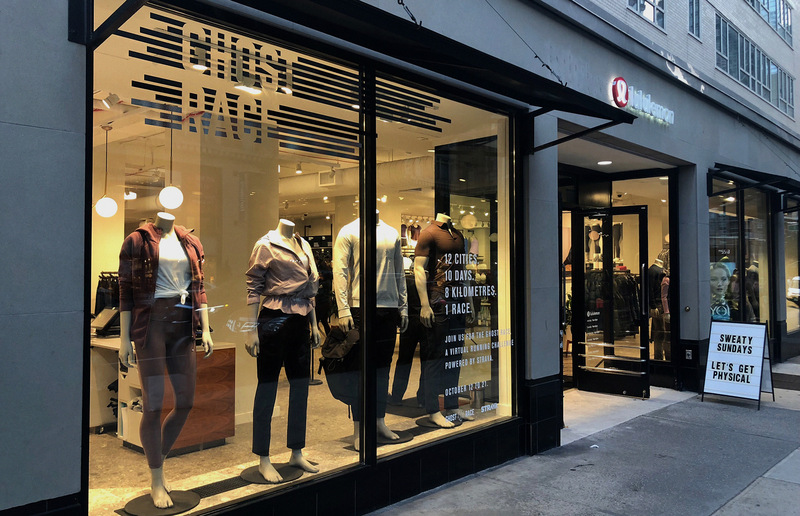 The Ghost Race is a virtual running race presented by lululemon that allows runners from all over North America to compete against each other by recording their runs with the fitness tracking app Strava. 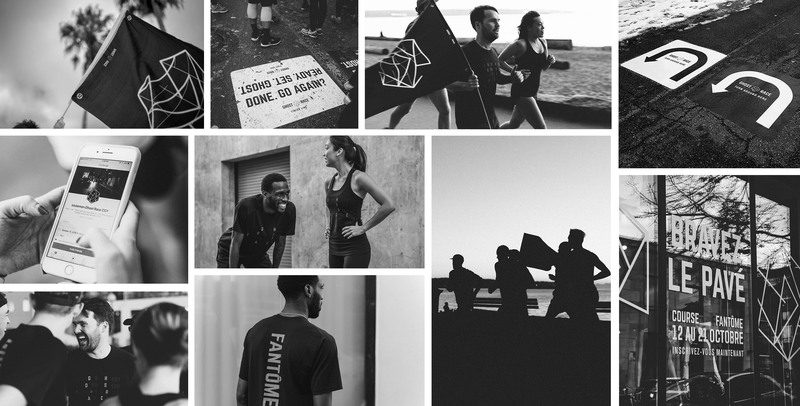 Runners in 12 North American cities are invited to complete a series of custom 8K courses at any time over the course of a 10-day period. 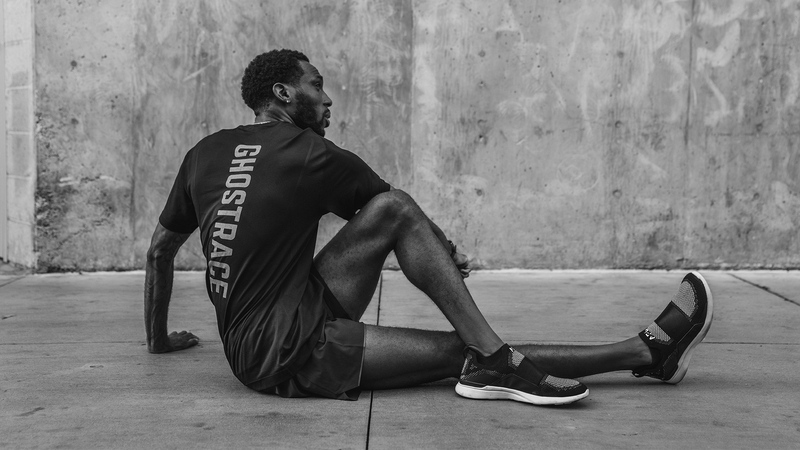 During that period, participants able to compete as many times as they like, racing against the top ghosts from the previous day or against their own personal records. 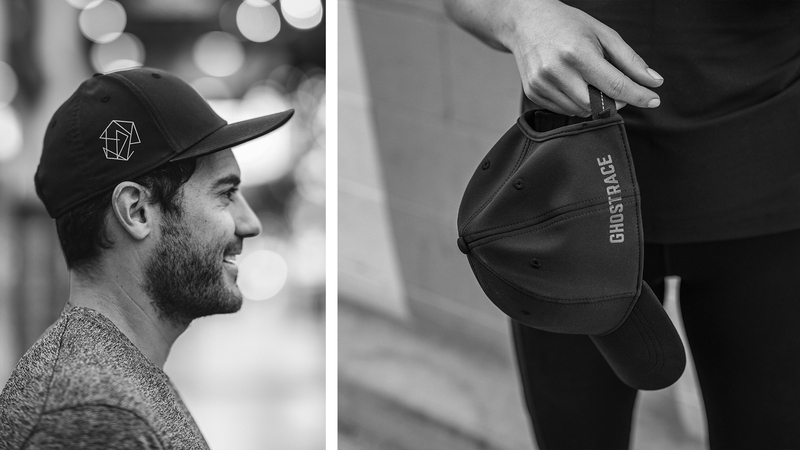 We were tasked with refreshing the Ghost Race’s graphic identity in a way that would bridge the gap between Strava users and lululemon aficionados, helping both brands reach new audiences. 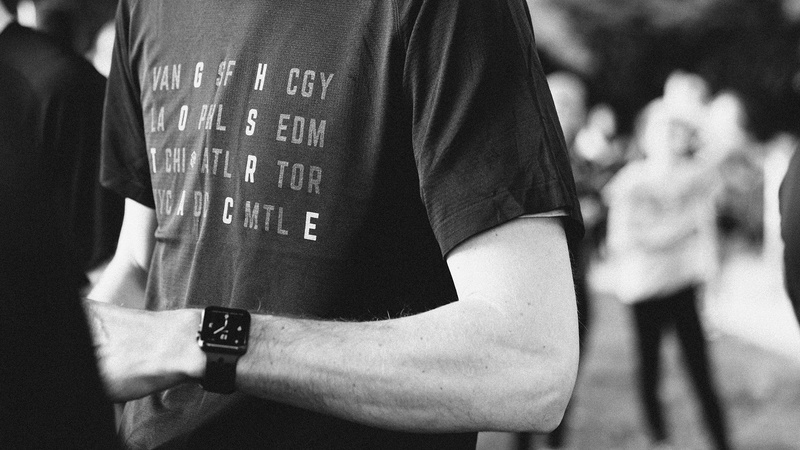 Inspired by the name of the race, we developed a platform based on the visual language of the night. 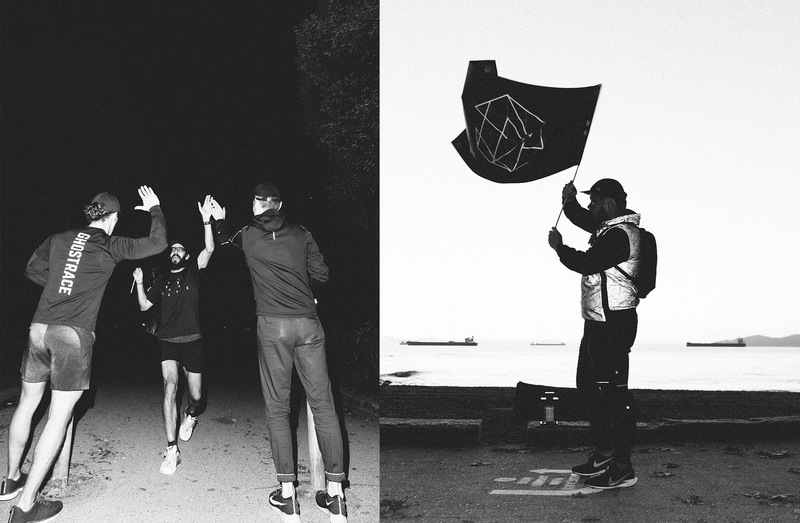 We used reflective ink, black and white imagery, glitch, and neon to give the race a nocturnal look and feel. 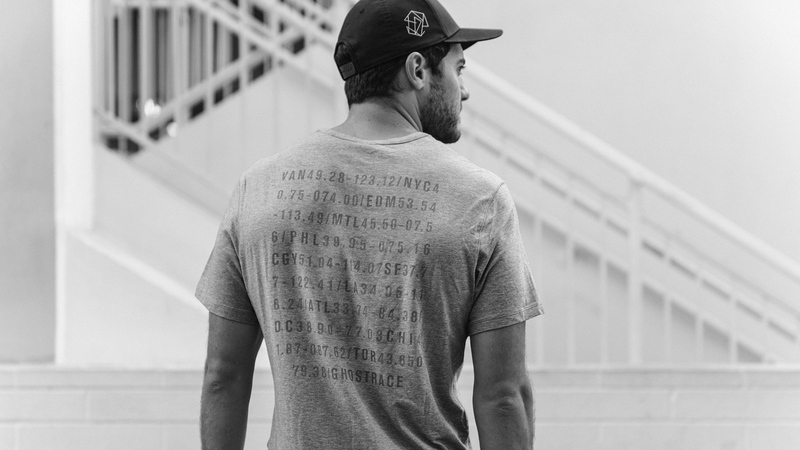 This project gave us the opportunity to explore a variety of different media, from product design (shirts, hats, and flags), to print, animation, web design, road stencils, and in-store applications.